Barraco, R., Hadinger, M., Harrison, M., Kaczmarczyk, J. (2016, Mar. 31). 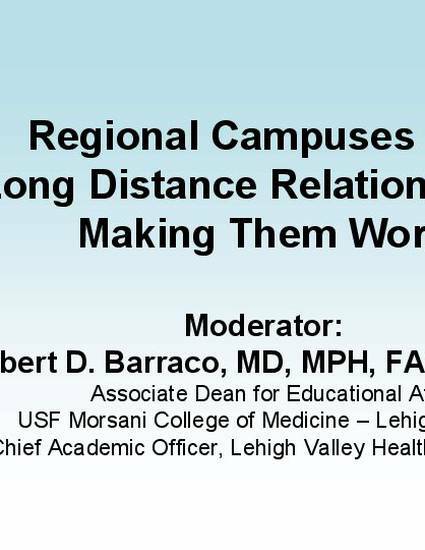 Regional Campuses and Long Distance Relationships: Making Them Work. Presentation presented at: Association of American Medical Colleges (AAMC). Group on Regional Medical Campuses (GRMC) Spring Meeting. AAMC Headquarters Washington, DC.